I read this at a Father / Daughter dinner May 8th in Hamilton at West Highland Baptist church, thank you for having me it was great to be with you. As promised I’m posting this for those who wish to have it. “Then he said to them, ‘Therefore render to Caesar the things that are Caesar’s, and to God the things that are God’s’” (Matthew 22:21 ESV). Sometimes by not choosing we have made a decision. This time of year I do tax returns for many friends and family members. Most bring me their pile of receipts hoping for a refund. If I have done their return before, I gave some tips for the following year. No one likes to pay taxes. I usually suggest they get more tax taken off and make some donations so they can receive a receipt as this will help lower what they need to pay. You have to pay someone, so make it a charity of your choice or pay our government. Some take my recommendations, but more often others do not. They have many excuses: I did not have time; I did not have enough money; I could not decide what to do. There are endless justifications. This year is no different. I have to break the news that they do not want to hear: “You owe the government money.” Those who did what I recommended have a better return. Why do we think if we ignore the problem it will go away? Dealing with your income and taxes is important to keep in check, but it is not a life or death choice. There is another issue that people like to just disregard: the decision of what to do with Jesus. Good Friday is set aside for us who believe in Jesus to remember the ultimate price He paid for our sin. Jesus died a very public, humiliating death. He was nailed to a cross for all to see. You ask why would I care if you do not know Jesus as your friend and saviour? Jesus died for you and me. You see, we are sinners and He was not. He died so people like you and I could be saved from eternal torment. If He was willing to die for us, then people like you need to know. Take time this Easter weekend to read the account of Jesus’ crucifixion in the book of John in the Bible and take time to decide what you will do with Jesus. This is one decision that will make or break your eternal destiny. “For the wages of sin is death, but the free gift of God is eternal life in Christ Jesus our Lord” (Romans 6:23 ESV). This is the account of the first Christmas: God gave His Son Jesus, the greatest gift of all, to mankind. Christmas is a special time. It is mixed with emotions from excitement to depression and everything in between. We get wrapped up in gift giving and receiving, trying to find the perfect gift—but the perfect gift has already been given. The real meaning of Christmas is Jesus coming to live with the very people He made. He came to live a spotless life so He could give His life for you and me. Do you see what I see? If you know Jesus, then thank Him for giving you His life. If you are not sure of what to do with Jesus, I invite you to explore His story. Read the book of John in the Bible or find a friend who knows Jesus and ask questions. Do not assume what the world tells you is right. If I did that, I would have not done anything with my life. It is my prayer that you see Jesus, God’s gift for you in the manger and upon the cross. If you find Him, you will have the greatest gift of all. 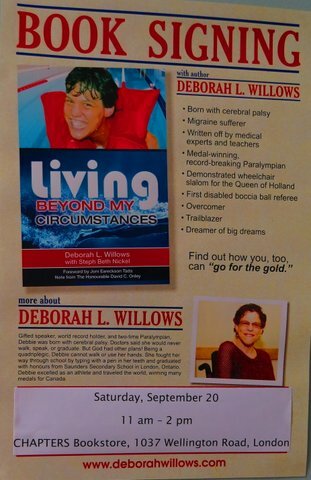 Paralympian Debbie Willows and her co-author, Steph Beth Nickel, are holding a book signing at Chapters, 1037 Wellington Road in London on Saturday, September 20, from 11:00 a.m. to 2:00 p.m. Autographed copies of Debbie’s memoir, Living Beyond My Circumstances, will be available. He was big, black and beautiful. He arrived in my life the day the For Sale sign was hammered into our front lawn. He was as stressed as I was. We were both in transition. He had a new home and a new master, and I was moving from the home I had lived in for 40 years. Tate, my third service dog, had such a gentle spirit and a great desire to work. He spent six weeks with me in London: watching people pack boxes, seeing them come and go, and learning how to help me. 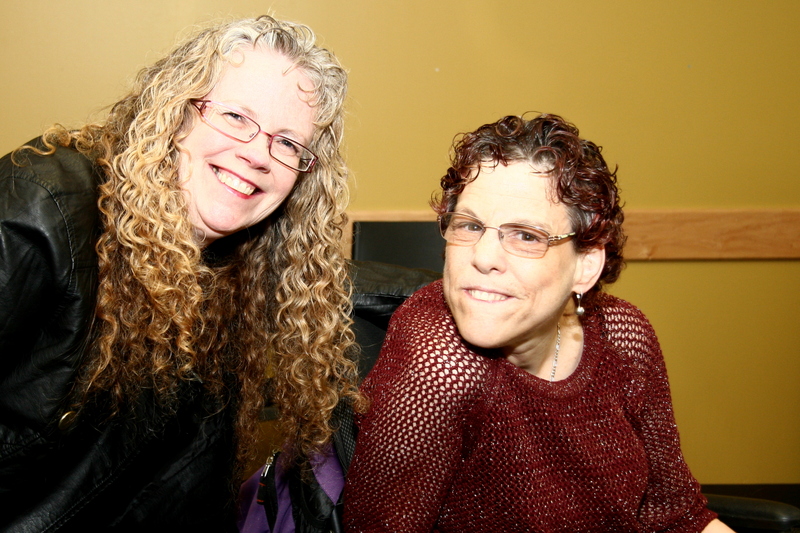 Then we helped each other transition to a new community. Tate picked up his tasks quickly and we were soon working like a well-oiled machine. He knew things I needed before I would ask. He also was full of mischief. One day I thought he was in my room with the door shut while I was at my brother’s, only to look down the hall and see him standing there wagging his tail. He seemed very proud that he could open the door without me asking. Tate and I had fun, and though he loved to work, he did not like his working harness. He was very ticklish, and for the first few minutes, it would bug him. But after he got over that, he was ready to go were his job led him. Two years ago, I retired Tate. Yet, he stayed with me. He was happy being at home more but would still want to go with me wherever I went. I would take him in the car for a ride if it was not too cold or too hot, but it got too hard for him to get in and out of the car. After that, he took it upon himself to be at the door to welcome me home with great vitality. Even in retirement, he was a blessing to others by visiting our local hospice, giving hope to those at the end of life. Last May at Tate’s checkup, the vet found cancer and told me he had about six months to live. That dog loved life and had fun with my new service dog. They became close buddies. 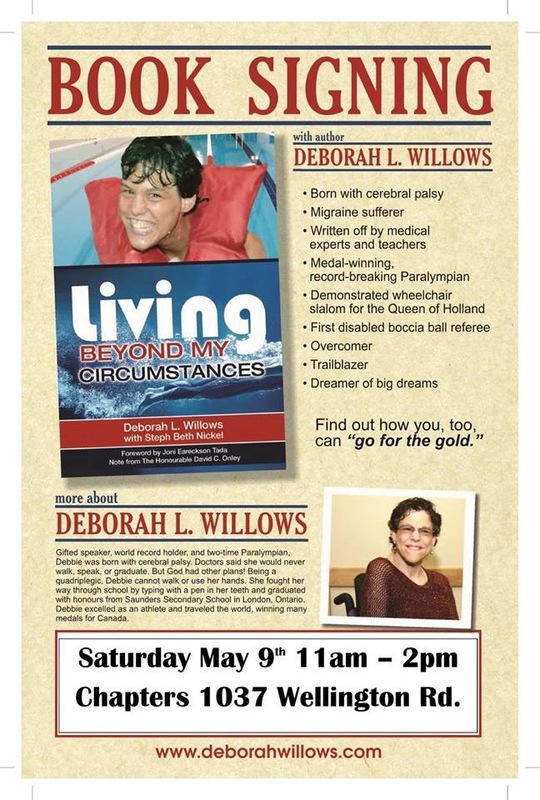 In April I traveled to London for my book launch. Tate came with me and stayed with a friend. On April 23, five days before my second book launch, it was apparent that Tate’s life was ending and the heartbreaking phone call to the vet was made. My brother Dan and his youngest son, Malcolm, dug the hole for Tate to be placed in later that evening. Life must go on, but there will always be a big hole in my heart for the gentle giant who served me so well. “Every good gift and every perfect gift is from above, coming down from the Father of lights with whom there is no variation or shadow due to change. (James 1:17 ESV). 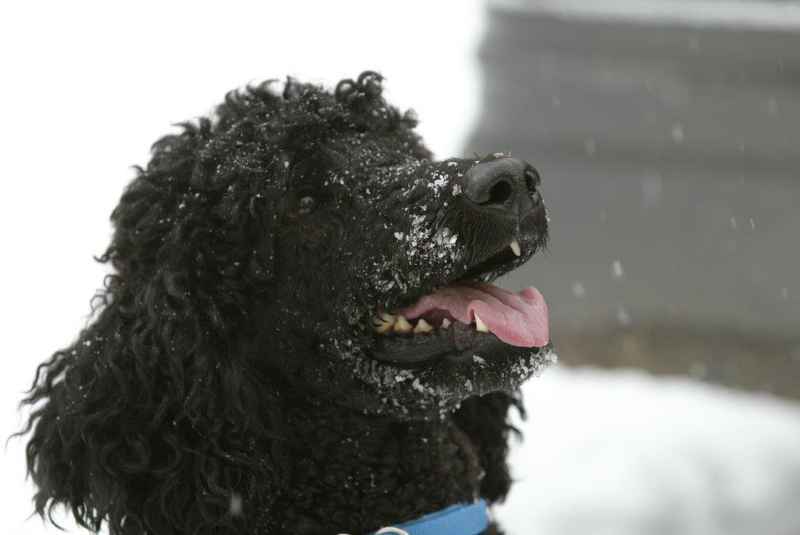 My favourite picture of Tate he loved snow.